I was meant to post this earlier, but other work drove it from my head. Anyway, Terry Grimwood of The Exaggerated Press wrote a lovely assessment of Spectral’s latest, and you can read it here. Much appreciation to Terry for taking the time to write a review and post it!! 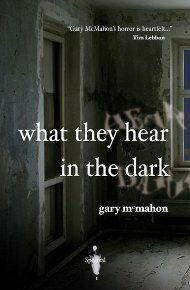 This review of What They Hear in the Dark is from Terry Grimwood’s Exaggerated Press website, which can be found here. And, once more, it’s a very positive one! This is the first publication by Spectral Press and the beginning of a very interesting looking venture, namely the publication of individual short stories in chapbook form. This is a story about loss, about the ability, and inability of us humans to recover and move on after the death of a loved one, in this case, a child, to me, the most unimaginable loss. Rob and Becky are, at last, trying to make a new start, moving into a new house, well, an old house they intend to renovate. But the ghosts won’t be shrugged of that easily. Convincing in its examination of lingering grief and the effect it has on the individual and a relationship, What They Hear in the Dark presents us with shadows and whispers and a silence that is almost deafening in its totality. It also threatens us with ghosts that are horribly familiar and malevolently ambiguous. Supernatural stories seem to provide a very sharp scalpel with which to examine the injuries caused by the death of a loved one. The description is vivid, the smells, the feel of the house, the mustiness and dankness of that room ooze from the text and live in Neil Williams’ atmospheric cover work. Most of all, the emotional landscape is starkly and startlingly painted. The tension between the protagonists, the struggle to regain their emotional level is discomforting. What They Hear in the Dark is a short sharp emotional shock. 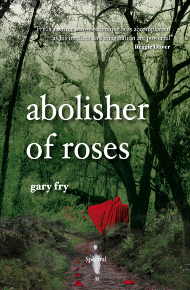 There are still a few copies of this chapbook left – so, if you haven’t purchased your copy yet then you should do so now, before they all sell out!! For details, please go here.